I recognise your passion for sport and your desire to do something positive in your new role but, after spending 40 years working in the industry, I do need to point out that the challenge of increasing and, more importantly, widening participation is an old chestnut that will not be solved by just another strategy. What is needed is a fundamental shift in thinking, culture, behaviour and attitude. I think the management experts call it transformational change; others might simply call it common sense. If you really want to increase participation in sport and physical activity I offer eight challenging but essentially simple steps. Excellence in sport does not drive major increases in mass participation in the long term. While watching high-performance sport inspires some individuals to have a go and sustain their commitment, the impact is not as widespread as some sport advocates want us to believe. In some cases the image of excellence and winning, and how this is portrayed in the media, actually puts many people off. Action – Don’t rely on sporting excellence to drive mass participation. After Rio withdraw funding from UK sport and transfer it to Sport England. Leave the excellence end of sport that is attractive to sponsors, the media and business to be funded by them, not the taxpayer. Access to high-quality physical education in schools is critical to giving children the basic skills and awareness to enjoy physical activity; for some this will also lead to an interest in sport. But don’t assume all children want and enjoy competitive sport and team games; many don’t and are put off for life by being made to do it. Put your political ideology to one side and give all children a good start that they will retain for life rather than putting them off for life. Action – Ensure basic physical education is taught in every primary school in an interesting and enlightened way. Offer sport to those that are interested at primary school and secondary school in a way that they can enjoy. Make the curriculum offer as wide as possible, including dance and minority sport. Don’t force competition and team games on young people. For those who are interested and keen to develop their sporting lifestyles, ensure that there are proper pathways from school to club. For those who are not interested in sport, focus on providing healthy lifestyles. Many people remain put off from sport by its image, which is often created by the people who administer it and the people who play it. Much of the perceived failure in national governing body (NGB) performance is simply due to the fact that many of them (but not all) are better at providing opportunity for the interested and committed, and helping people to improve at sport, than they are at getting new participants involved. Action – Ask NGBs to do only what they are good at. Fund them at a lower level to maintain existing participation in their sport, building better school-club links for those who want to continue their sporting lifestyle and keeping people involved at club level for as long as possible; also to quickly address under-representation in membership and participation. Instead of asking NGBs to attract new participants use community-based organisations to work with the excluded and hard to reach but recognise these organisations’ talent and fund them properly. They are no less professional in what they do so don’t expect these organisations to do it on the cheap. In fact, recognise that it takes greater resource to turn a non-participant into a participant than to keep a participant involved and improving. Be prepared to see some of the funding used to subsidise price, fund transport, and provide basic clothing and equipment needed to participate. Women, black and ethnic minorities (BEM), and disabled people will not participate if they are not respected and welcomed in sport and leisure environments. Unfortunately, there remains a culture around many mainstream sport organisations, including some NGBs and their associated clubs, that is not welcoming to women, BEM and disabled people. These attitudes must be challenged and made to change if real equality of opportunity is to be created. Action – Offer short-term funding to organisations to enable them to improve equality of opportunity but then after a couple of years cease funding any organisation that is not representative at a governance level, membership level and participation level until they have achieved fair representation. People who are poor and living on low incomes are mainly excluded from participating simply because of price. Many cannot afford the right kit to play sport or cannot afford to travel any distance to participate. Many work long hours and find it difficult to find the time or the motivation to take part. Many find it impossible to do sport as a family or support their children to participate if they want to. Private gyms and clubs are often well out of their range. Council facilities, which have traditionally offered subsidised prices or free access programmes, are often the only option for them. However, councils are increasingly either having to increase prices or transfer facilities to other organisations which need to generate additional income just to survive. Clubs, which once were subsidised by councils via low rents or hire charges, are equally finding that their rising costs are having to be passed on to participants. Many of the people who would benefit most from participation, particularly in terms of health outcomes, are gradually being forced out of the opportunities available. Action – If you want poor or low-income individuals and families to benefit from participating in sport and physical activity you have to be prepared to subsidise the price they pay, provide opportunities close to where they live and make them feel welcome. Encourage councils and the NHS to offer free-access schemes similar to BeActive in Birmingham to anyone wanting to participate as part of a national membership scheme linked to personal health improvement. You cannot play sport without access to decent facilities. Private and commercial clubs will always provide opportunity to those that are able and willing to pay. This sector of the market will survive without intervention but will only provide for a limited percentage of the population. Councils have been the biggest provider of sport and leisure facilities, and many are continuing to do so by rationalising and improving facilities despite the pressure of austerity being placed on them. However, many are seriously considering opting out of this provision altogether because it is not a priority. Others are transferring facilities to private or trust operators, retaining very limited influence on contract performance in terms of increasing or widening participation. Removing all subsidy or even generating a return for the council is fast becoming a desire and a reality. Operators are lowering their costs by using cheaper and less-qualified staff, generating more income by using more membership schemes and attracting higher-income users at the expense of traditional programmes targeted at hard-to reach groups. 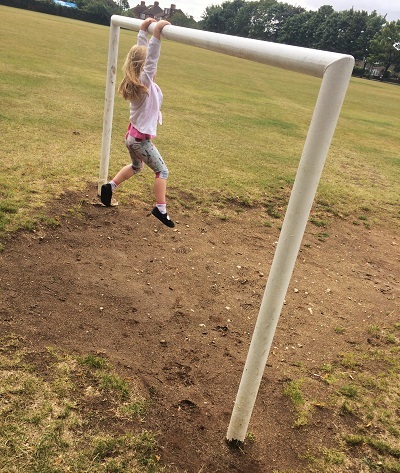 Action – Ringfence more national lottery funding to support councils willing to sustain and improve facility stock but also manage them in ways that improve participation levels, particularly among individuals and groups that need to improve their health. Link these programmes with local health improvement initiatives that tackle local health and wellbeing priorities. Use lottery and health funding to incentivise all schools, particularly academies, to open up school sites to local communities in order to provide physical activity and community sport opportunities to target groups. Invest in local, low-cost facilities that attract individuals and communities in greatest need, particularly in rural areas. The world of sport and leisure is too fragmented and has too many competing organisations with narrow self-interests. This also spreads management and leadership capacity too thinly; further austerity will make this situation worse. Management quality across the sector is generally weaker than other sectors and austerity is seriously reducing the level and amount of training and development taking place. Despite attempts to improve the measurement of performance through things like Active People and encourage more evidenced-based decision-making, there remains a culture in the sector that shies away from data-based accountability. People would rather challenge the data than respond to the weaknesses it demonstrates. Action – Rationalise the organisational infrastructure through funding decisions driven by performance and evidence. Through CIMSPA set and demand minimum management competencies at senior levels of any organisation receiving public funding. Use government and lottery funding to fund a major leadership development programme involving the whole sector so that different parts of the sector learn to work and lead together rather than compete. Demand that sport-based further education courses include sport management in the curriculum or stimulate one or two specific sport management degree courses. Stick with Active People. It’s not flawed and if you change it you lose all the trend data. Despite the wealth of evidence about the value of physical activity to health improvement, the world of sport has been slow to grasp the opportunity. Sport providers have come to health tables simply to seek funding for sport. Health commissioners want tried and tested interventions that improve the health of individuals or specific sectors of the community that would benefit from greater activity. They see sport as a turn off, elitist and not focused on those in greatest need. Sport has to decide if it is about offering sport that includes some activity that is good for people or if it really is a health and wellbeing service and therefore part of the national public health offer. Mixed messages result in mixed results. There is now extensive evidence that physical activity is a more cost-effective intervention than some drugs and, in some instances, surgery. Unfortunately, many doctors either fail to understand this or are too stuck in their prescribing ways to change. Clearer national guidance is required but above all it is about challenging and changing professional mindsets on both sides of the sport and health divide. Action – NHS resources need to be switched into public health funding but specifically ringfenced for physical activity programmes that have had their impact independently validated. Sport England needs to be rebranded Sport and Physical Activity and most investment streams targeted only at organisations that are increasing participation and levels of physical activity among those who will benefit most from such activity. Training and development opportunities need to be created that equip sport and leisure providers with the skills and attitudes necessary to be commissioned by health professionals. Training programmes for health professionals need to include a focus on the benefits of physical activity. Martyn Allison has worked in and with local government and its partners for over 40 years, serving as a director of leisure, an assistant chief executive and a national adviser for culture and sport with the Local Government Association. He is a fellow of CIMSPA and chair of the Quest advisory board.